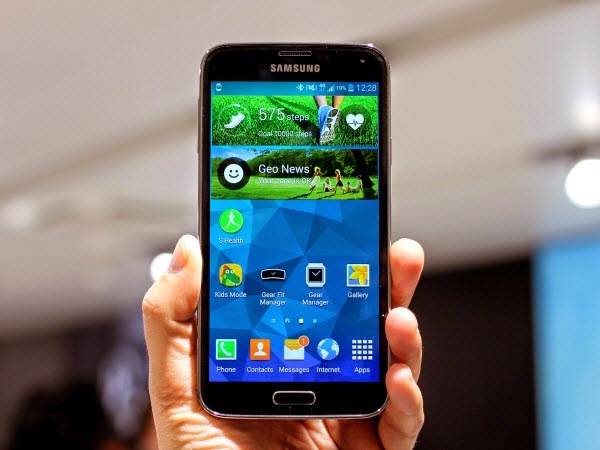 The Korean handset maker Samsung launched Galaxy S5 Mini, the successor to its flagship Galaxy S5 smartphone in India. The device is priced at Rs. 26,499 and will be available exclusively on Flipkart starting from Wednesday. The Samsung Galaxy S5 Mini comes with dual SIM support and is powered with Quad-core Snapdragon 400 (MSM8228) processor clocking at 1.4 GHz. The Smartphone sports a 4.5-inch (720 ×1280 pixels) HD Super AMOLED display and runs on Android 4.4.2 KitKat OS out of the box. There is 2100 mAh battery support which is expected to deliver backup for the whole day. Coming to storage front, it has 1.5GB RAM, 16GB inbuilt memory and expandable secondary storage up to 64GB with microSD. There is 8 MP rear camera with LED Flash and 1080p video recording and also has secondary camera of 2.1 MP for video calling. The wirelessconnectivity options available are 3G HSPA+, dual band Wi-Fi 802.11 a/b/g/n (HT40), Bluetooth v4.0 LE, GPS and NFC. Like Galaxy S5, S5 Mini also has IP67 ratings for dust andwater resistant, Finger Scanner and Heart rate sensor. “We at Samsung believe in bringing meaningful innovation to our customers. And the best inspiration for innovation comes from none other than our customers. The Galaxy S5 Mini is yet another manifestation of the philosophy of people inspired innovation that drives Samsung products. This stylish smartphone is the perfect combination of performance and power in a conveniently compact design. Effortlessly smart and intuitively simple, the Galaxy S5 Mini empowers your life, helping take care of your well-being”, stated Asim Warsi, V.P, Marketing, Mobile & IT at Samsung India. The Samsung Galaxy S5 Mini Android Smartphone comes in Shimmery White, Charcoal Black, Electric Blue and Copper Gold colors and would go sale exclusively on Flipkart online store with price tag of Rs. 26,499.